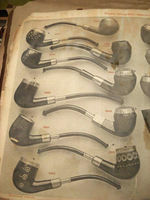 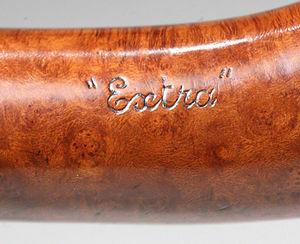 Every collector of antique pipes knows that pipe factory and retail store catalogs from the 1800s - early 1900s are as rare as hen's teeth to find...and an even rarer occasion, when found complete and in good to better condition. 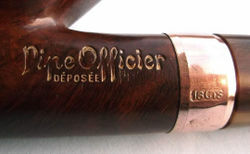 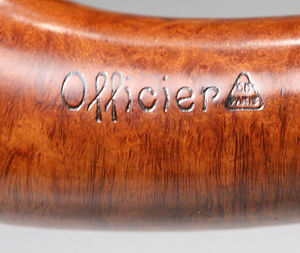 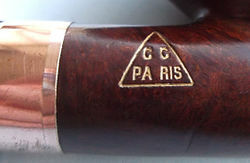 This fragile catalog from this little-known French manufactory, merchandised its pipes with the logo of a triangle bearing the letters "C C Paris" embossed in fitted cases. 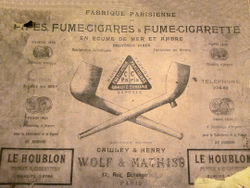 Cases with this logo are known, but the Wolf and Mathiss name, until now, was not known as the factory behind the retail establishment. 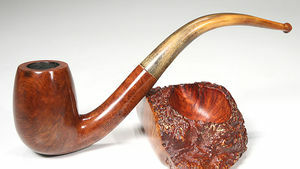 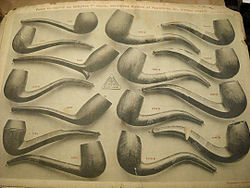 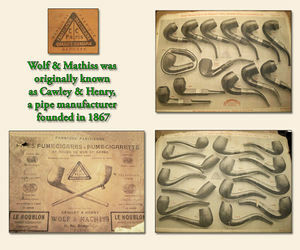 Wolf & Mathiss was originally known as Cawley & Henry, a pipe manufacturer founded in 1867. 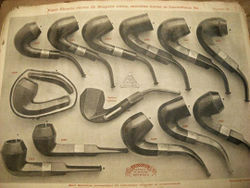 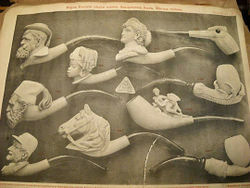 The product line was fairly robust, catering to not only pipe and cigar smokers, but also to cigarette consumers, because the catalog includes cigarette rolling papers that, according to company information, had received silver medals at two expositions, Anvers (1885) and Paris (1889).